We have some Park Slope retail news to pass along. 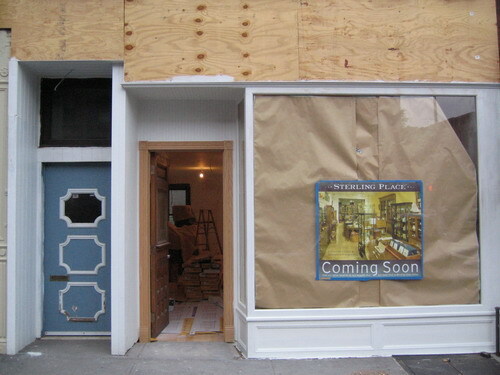 Sterling Place, the home decor retailer that has a store on Atlantic Avenue between Hoyt and Bond is making progress on opening a new storefront on Seventh Avenue in Park Slope. The store will be located on Seventh Avenue and Tenth Street. It is between the storefront that Otto relocated to and the Tea Lounge. More shopping on Seventh Ave.